There is something healing about being outside. I am not a scientist or a psychologist, but a short walk in the great outdoors does wonders for my physical and mental well-being. The problem is that I don’t get outside enough to encounter those helpful connections. It happens too infrequently. I sit in my office staring at my computer screen never venturing outside and then wonder why I feel tired, disconnected, and even a little uneasy when I go home at the end of the day. If we know we need to go outside to lift ourselves up, why don’t we make it a priority? I don’t know all the reasons, but I have heard that there are medical benefits from being outside for just 15 minutes. This makes me think about why I need to create time in my schedule to be in nature. So, I challenged myself to be outside at least once a day for 15-30 minutes. Here are some ways I plan to connect with the outside world along with some positive benefits I know I will experience. Get your hands in the soil. This can be done in many ways, but the most obvious is growing something. I love: the smell of the earth after a rain; the thrill of establishing a new plant; soil on my hands; planting a vegetable garden. Just planting a few plants can have tremendous benefits to you and nature. 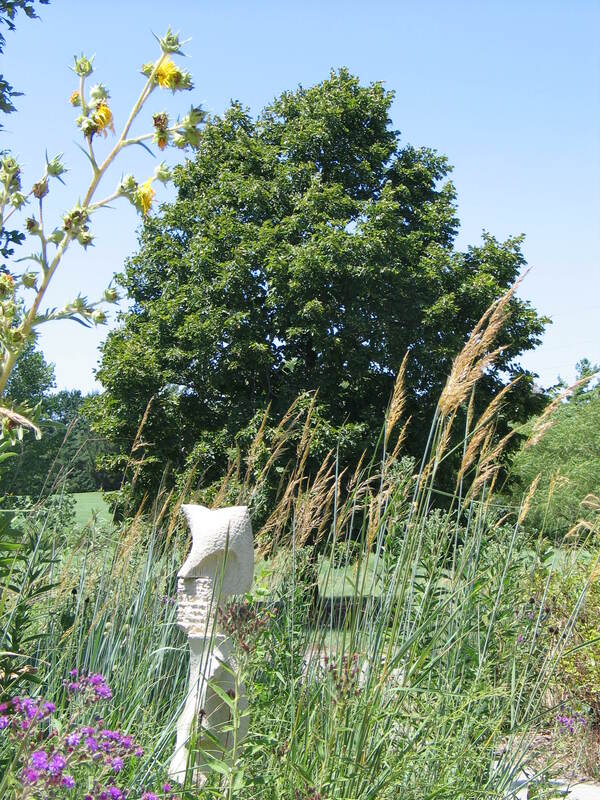 It is invigorating being in the garden and watching your landscape be transformed each year. It has been cold and gray for the past few weeks and I am craving some sunshine. What is it about the sun that we need? Maybe it is the Vitamin D our bodies need that is best supplied by the sun. I know too much sun is not healthy so I get enough sunlight by sitting under a nice shade tree after puttering around in the yard with a cool drink in my hand. 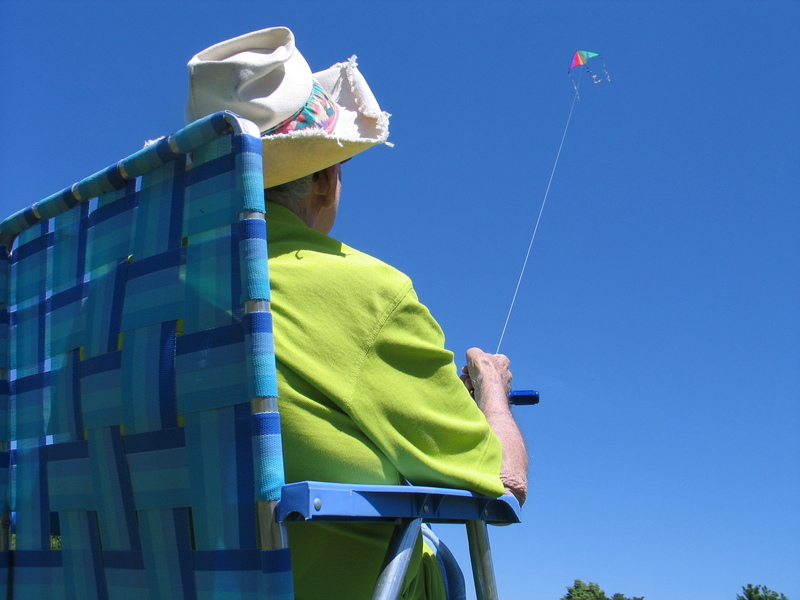 There is a link between sunlight and the prevention of all sorts of diseases. So get outside in the sun for your health. Another important benefit of the out-of-doors is that it will make you sleep better. Everything I have read about being outside points to the importance of sunlight. When you wake up, and throughout the day, sunlight is really beneficial. Again, don’t get too much, but 15-30 minutes exposed to bright sunlight will help you sleep better. Try to exercise outside, walk your dog during the day, and enjoy that first cup of coffee in the morning in a sunny spot. Not only is the sunlight soothing and relaxing, but the natural world slows us down. When we are bombarded by too many stimuli, we need to remember that the sunlight will help calm us down. Nature can transport us away from it all. 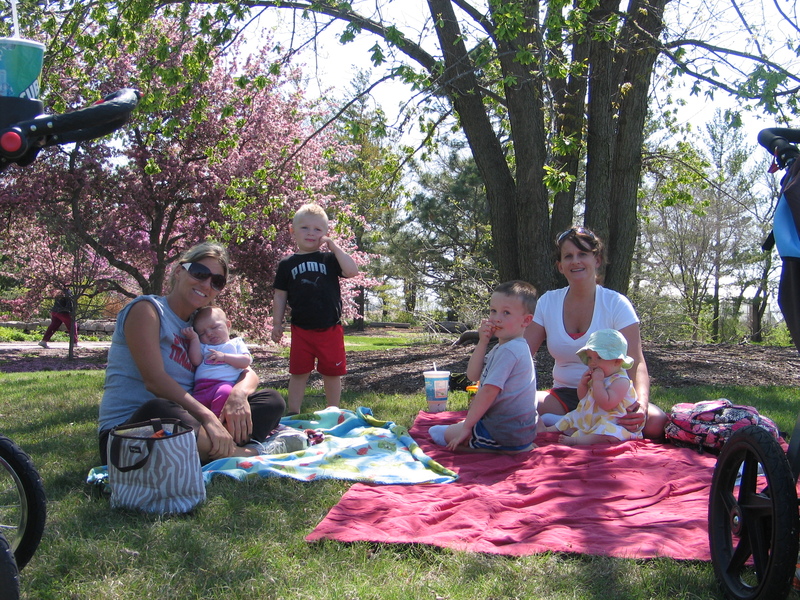 Take a walk through the park or visit a natural area and you will be mentally and physically changed. There are so many fascinating sights to behold: the beauty of a coneflower in bloom or monarchs clustered on a branch. Often I am mesmerized by the richness of what I see. My senses are overwhelmed by the sights, sounds, smells, and feel of the natural environments I find. A short walk each day will change your perspective. The calming effect of the outside world is something I need in my life currently. Let’s face it, we are worn down over time by the busyness of life. I need moments that energize me, reduce the stress, stimulate my brain in different ways than a computer does, and boost my attention span. Fear and anxiety slip away the more time I spend outside. Boost your spirits. Get outside. I am not a scientist or doctor but I know how my countenance changes the moment I am outside. Simply put, we need to get outside for better health. In my opinion, 15 minutes outside makes the next hour inside so much better. We are hearing a lot in the news about the loss of honey bees, which we know is a potential threat to our food systems. But before I address this topic further, allow me to say a bit about insect diversity. The world of flowering plants is diverse with an estimated 352,000 species worldwide, but its diversity pales in comparison with the insect world that is estimated to be 15 times more diverse, with a species count of somewhere around 5.5 million species. Approximately 20,000 new species of insects are discovered each year. It is estimated that we may currently know only about 20% of the world’s existing insects. I share this to say that topics related to insects are complex and that we are far from having all the answers about any topic related to pollinators. Now, back to honey bees. 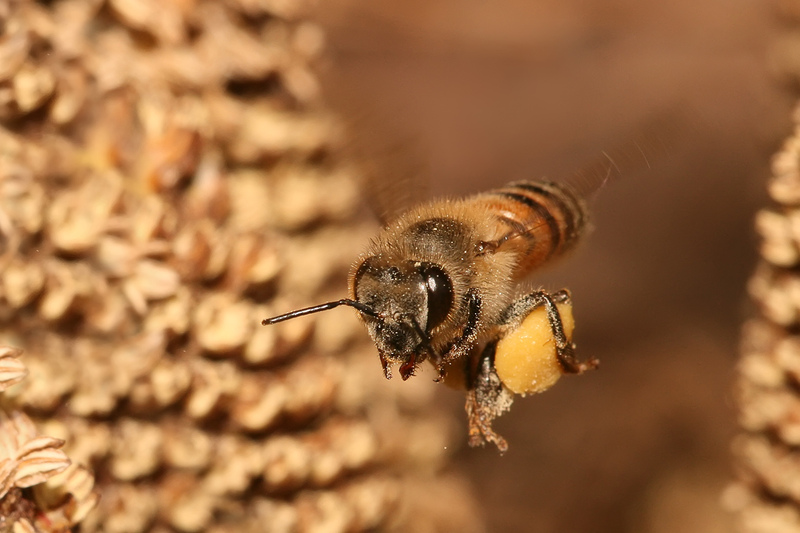 A 2014 U.S. Department of Agriculture report states that honey bee colony loss has experienced an eight-year average loss of 29.6 percent per year. Recognized factors for this decline include viruses and other pathogens, parasites, problems of nutrition from lack of diversity in pollen sources, and sublethal effects of pesticides combining to weaken and kill bee colonies. Colony Collapse Disorder (CCD) is a name that was given about ten years ago to this population loss that is often seen suddenly in bee hives. Pesticide contamination, and specifically the group of neurotoxic insecticides called neonicotinoids, is coming under increased focus as a possible cause of CCD. The insecticide is applied to the seed coat of many common crops, taken up by plant roots, and translocated to all parts of the plant, including flowers and pollen. Neonicotinoid use in crop protection has increased dramatically in the last 20 years and significant financial investments have been made to implement this effective group of insecticides. Whether or not neonicotinoids that are showing up in beehives are causing CCD is not something I can answer here. Some European countries think there is a connection and have begun to ban the use of neonicotinoids. The validity of the connection between neonicotinoids and CCD is a complex issue that can only be answered with unbiased, scientific research. If chemical producers feel strongly that neonicotinoids are not contributing to CCD, I think that they would want to be pouring money into reputable research to clear their products from blame. The viability of natural ecosystems and healthy food systems relies on both native pollinators and honey bee populations. Local farmer and beekeeper, Deborah McSweeney, has invested significant time researching and living this topic and also knows a lot about bee population collapse. She will be our featured presenter next Tuesday evening as part of our Winter Lecture Series. Join us to learn more about this topic. It is hard to believe, but it is mid-January already. Spring is right around the corner. Yes, it will be here before I am fully prepared. Are you ready for spring? Do you know what your garden needs? 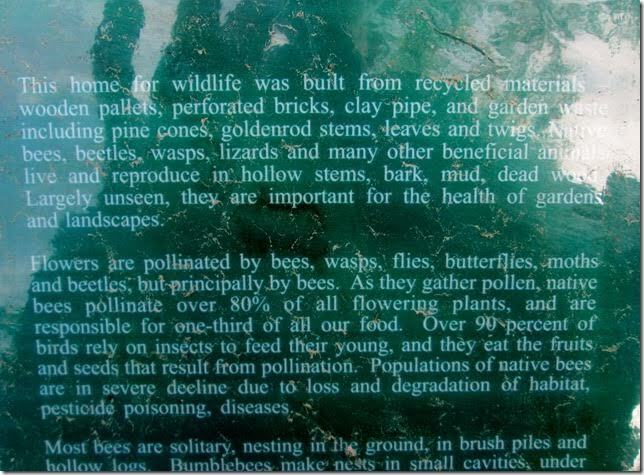 Do you know what pollinators need? How can we sync our gardens better with nature? These questions and many more have been rolling around in my head over the past few weeks. Pollinators depend on nectar throughout their adult life stage. A variety of native wildflowers that grow in a sunny location and bloom at different times throughout the year provide pollinators with a constant nectar source. 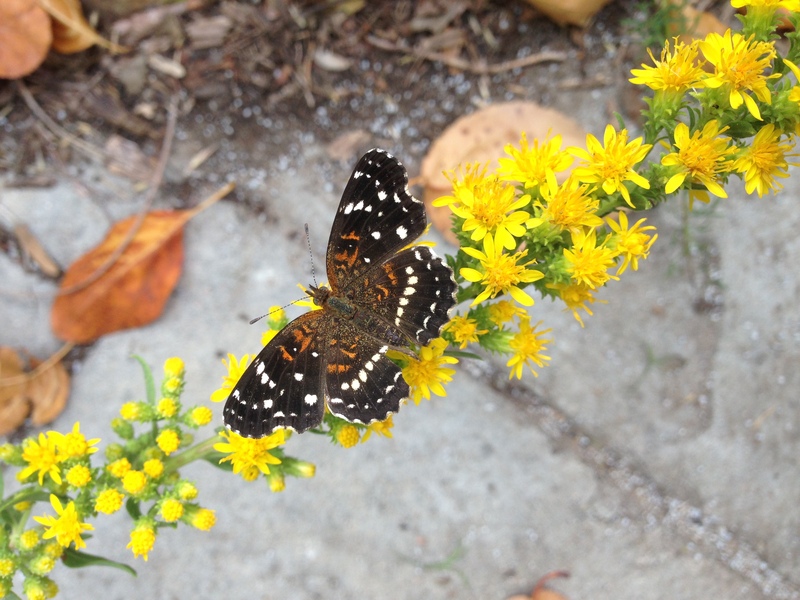 Not every plant is beneficial to pollinators. 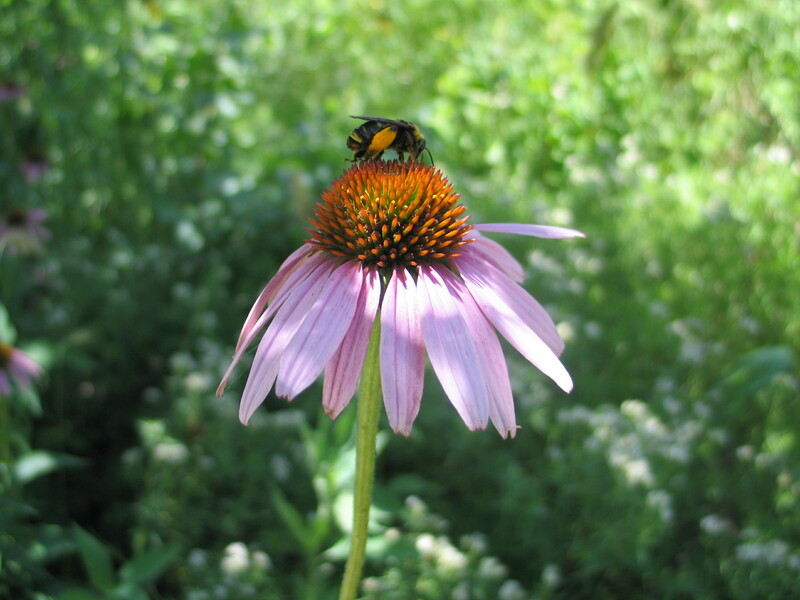 If possible, utilize native plants because they offer nectar that many native pollinators seek. Here are some sample landscape designs to get you started. Think of color and form. Butterflies can see yellow, orange, pink, blue and purple blossoms. Bees are unable to see the color red, but are very attracted to yellow and blue flowers. Darker colors such as black are a warning sign for them to stay away. Bees for the most part are attracted to bright colors. So don’t wear a bright colored shirt in the garden. 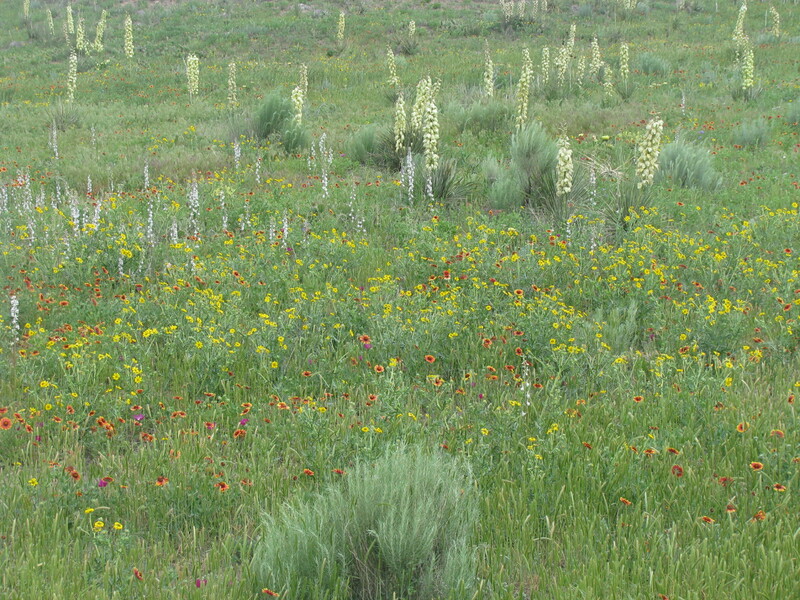 Flat-topped or clustered flowers provide a place to settle for feeding. 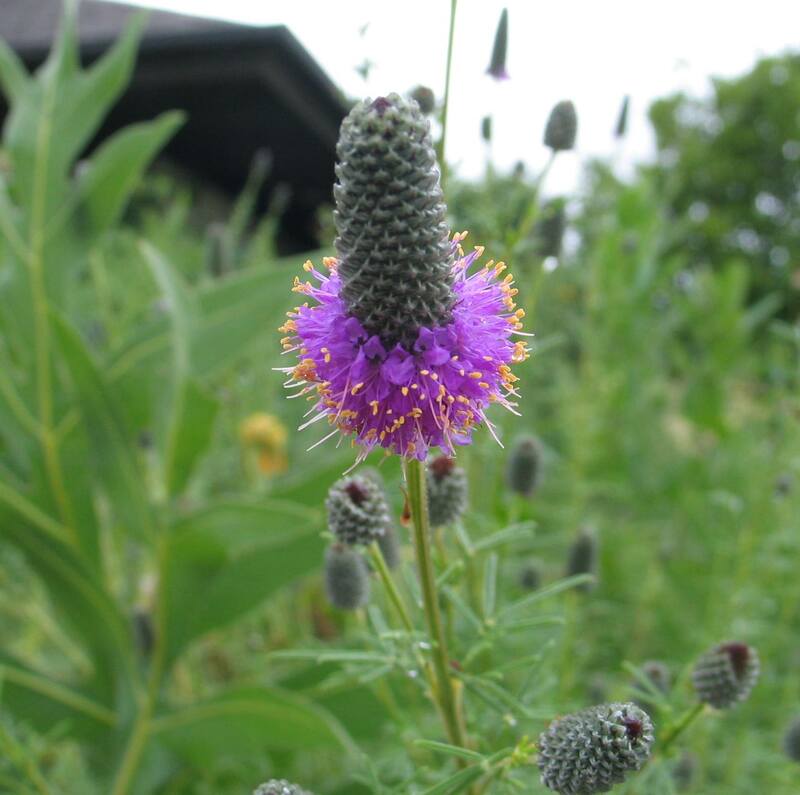 We carry many options of native plants at our FloraKansas Plant Sale. Butterflies like wet sand and mud left behind by puddles or on the edge of a water feature. They drink the water and extract minerals from damp soil. Host plants provide food for butterfly larvae (caterpillars). Butterflies look for specific plants when they are ready to lay eggs. 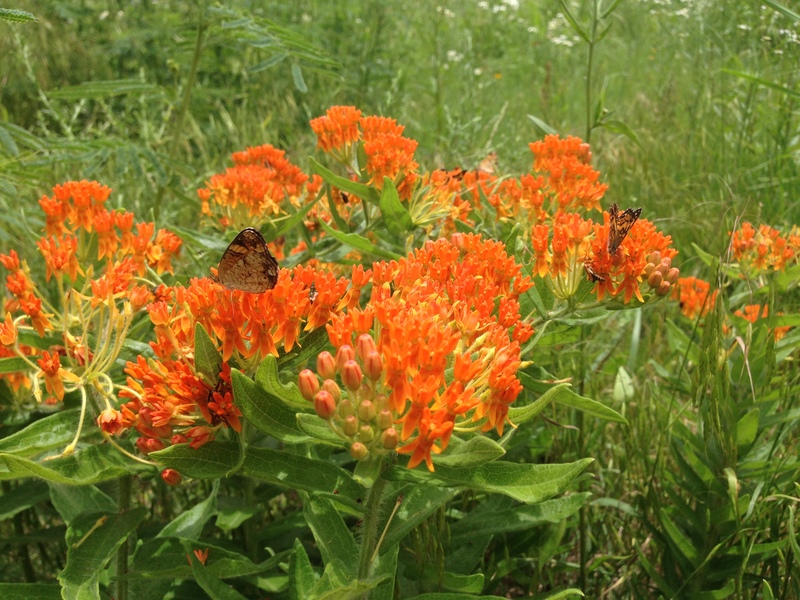 The host plants for the Monarch butterfly are milkweeds. 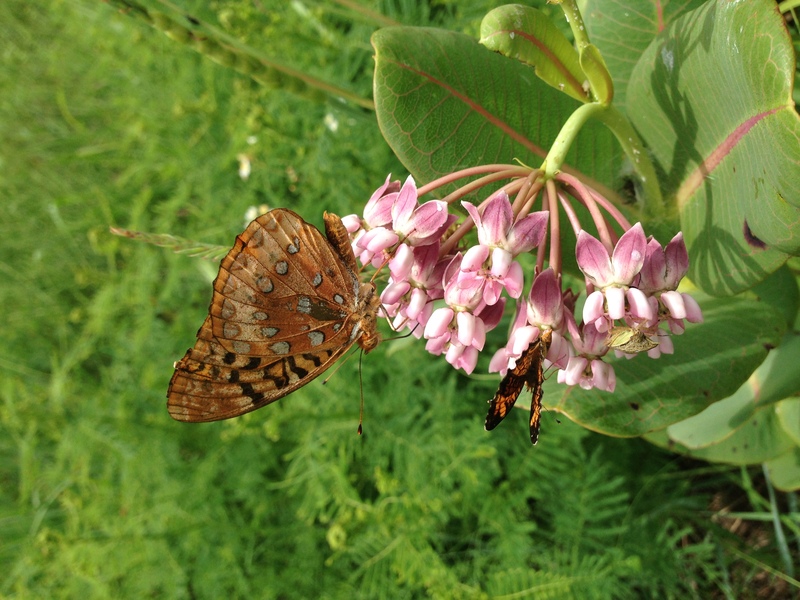 If you want to help save the Monarch butterfly, include some milkweeds in your garden plan. Here is some additional information on Monarchs. Make your garden a pesticide-free zone. Insecticides kill insects. Herbicides kill plants, but they can be toxic to insects as well. Pesticide-free lawns and gardens allow pollinators to survive and flourish. 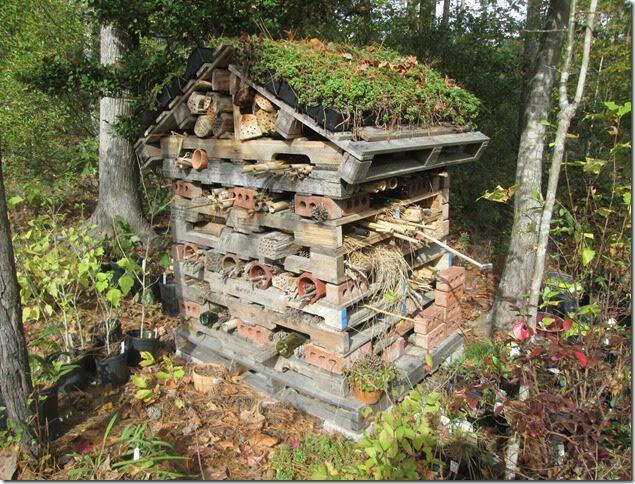 Small wood piles, old logs and leaves in your garden at strategic areas provide important habitats for many different pollinators. Bees will uses these areas to overwinter because they keep them safe from the elements and predators. Don’t be too quick to get rid of that old rotting log. It is just what pollinators need. Many butterflies, pollinators and native wildflowers have co-evolved over time so that each depends on the other for survival. Wildflowers provide food for all life stages of pollinators. In return, wildflowers and much of the food we eat are pollinated by bees, butterflies, and a host of other pollinators. With a little planning now, pollinators will flock to your garden this year and in years to come. The other day I was watching a show on television that was trumpeting the benefits of organic matter. It really made me think. I know organic matter doesn’t exactly get everyone fired up, but one comparison that was presented in this program really opened my eyes to the benefits of prairie plants to the soil. Organic matter is extremely important in a healthy soil. It attracts microbes, earthworms, and fungi that bring the soil to life. These organisms break down the thatch at the surface as well as the roots that die from year to year. Organic matter reduces compaction, making the soil spongy and able to bounce back. In addition, organic matter increases the water holding capacity. It is said that for every one percent of additional organic matter, the soil can receive four percent more water holding capacity. This is important through prolonged periods without rain. Organic matter helps prevent soil and wind erosion by binding sandy soil particles together. This binding property of organic matter prevents caking, cracking, and water run-off that occurs when clay soils dry. Organisms in the soil are vital in the decomposition process. They help recycle the nutrients into forms that are readily available for plants to absorb through their roots. It is a symbiotic relationship. Other plants, like legumes (prairie clovers, lead plant and indigos), actively fix nitrogen from the air and add it to the soil. These native plants live harmoniously together, forming a matrix of roots that keep giving back to the land. What we see above ground is only 1/3 of the entire prairie plant. The roots are 2/3 of the plant and 1/3 of those roots die each year, adding organic matter to the soil and opening pores, so water can percolate deeply into the ground. If you have a heavy clay soil, native grass roots can break through compacted soils. It is rare to see standing water in a prairie because of the holes punctured deep into the earth by plant roots, allowing rainfall to be readily absorbed. The rich soils of the prairie that were broken for farming were a result of huge quantities of organic matter. In some places in the Tallgrass Prairie, the top soil was over ten feet deep from centuries of organic matter decomposition. Think of the prairie soil as a living organism that gives and takes and gives and takes. It is true, prairies develop healthy soils. Why not start bettering your own soil by growing a prairie?